USDA and the Foundation for Prader-Willi Research share a mutual concern about the health and well-being of our kids as we look to confront the challenge of childhood obesity. 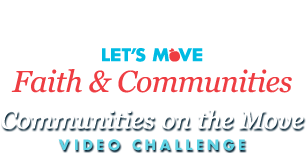 The Let's Move Faith and Communities video challenge allowed USDA to energize and connect with new audiences to bring new awareness to childhood obesity to help raise a healthier generation of kids. The video challenge, however, was not intended to focus on any individual condition causing obesity, as Let's Move! is a comprehensive initiative involving physical activity and improving access to healthy food, among other strategies. The "Take One SMALL Step" video produced by the Foundation for Prader-Willi Research focused specifically on Prader-Willi Syndrome and was therefore deemed ineligible. USDA regrets any misunderstanding of the competition rules. USDA recognizes that the video resonated with the public and will be posting the video for its "exceptional achievement" on the contest website. In addition, two guests of the Foundation will be invited to the White House at a future date to the event celebrating the video challenge winners.